The last we heard about a potential new Jetsons movie was way back in 2012, when Kanye West said he was the project's creative director. While that iteration of the film has since fizzled out, it looks like a new Jetsons movie is still in the works. According to Variety, Warner Bros. have signed on Sausage Party co-director Conrad Vernon to develop and most likely direct the forthcoming film. Along with his work on Sausage Party, Vernon's credits also include co-directing Shrek 2, Monsters vs. Aliens and Madagascar 3. He's also the voice of the gingerbread man in the Shrek movies. 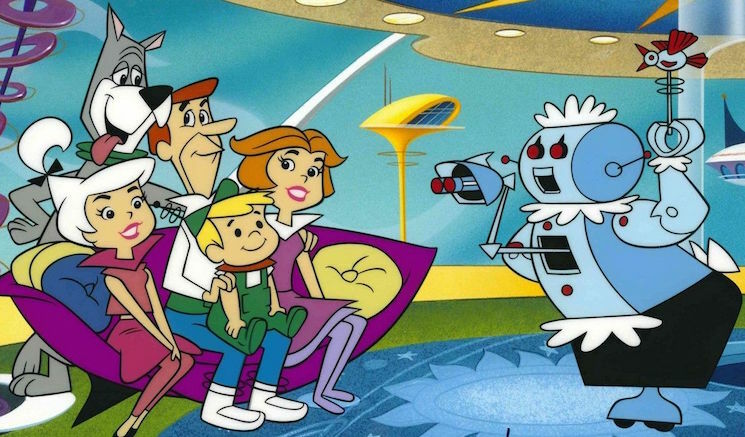 Warner Bros. long and winding road to a new Jetsons movie has been taking forever. After giving up on a live-action version, they hired Matt Lieberman to write a script for the animated version in 2015. Jetsons: The Movie came out way back in 1990.